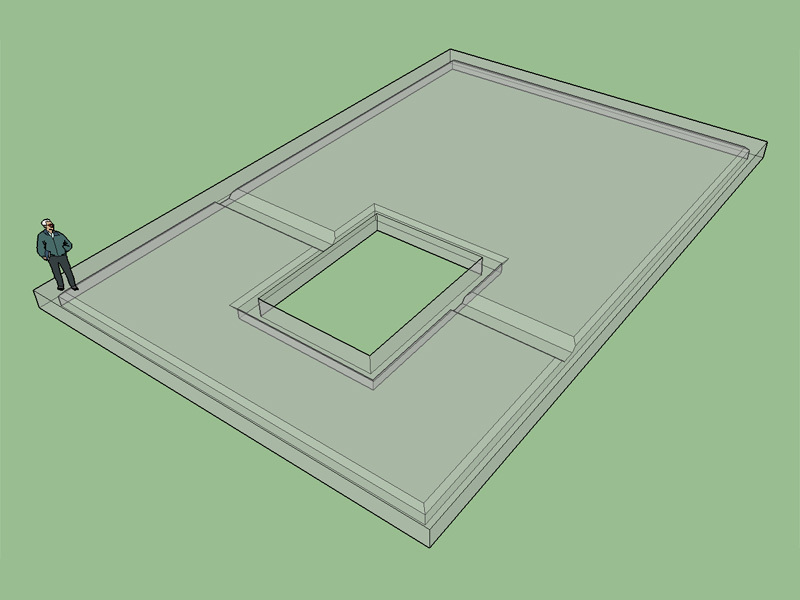 - Created Medeek Foundation Plugin, utilizing SketchUp's Ruby API. 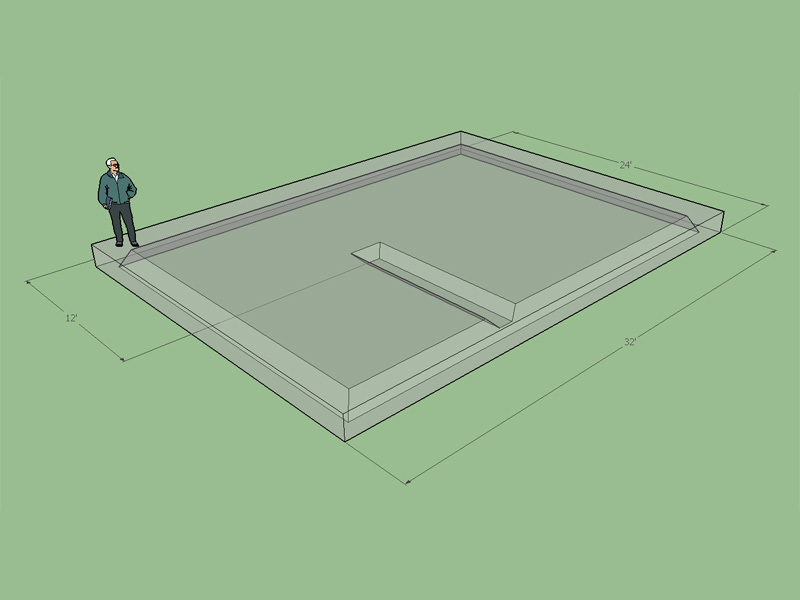 - Added slab on grade foundation type (rectangular outline only). 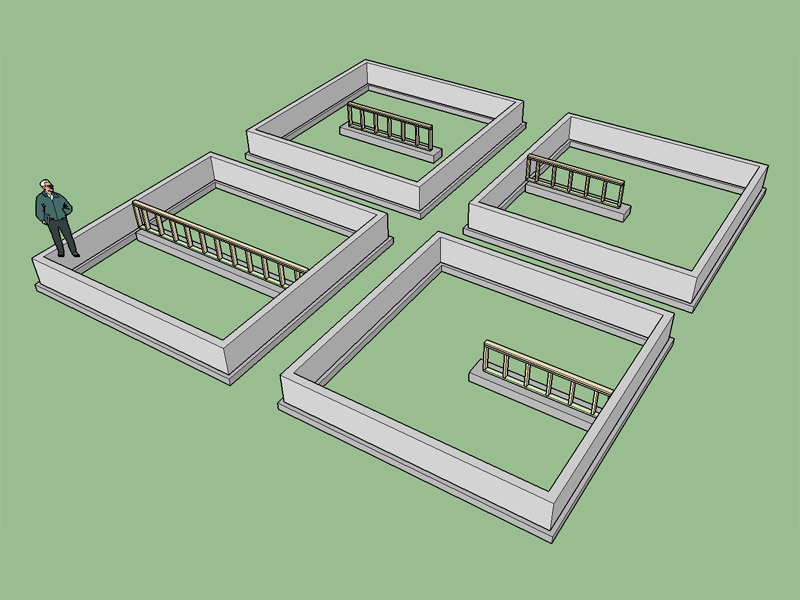 - Added garage curb and interior footing options. 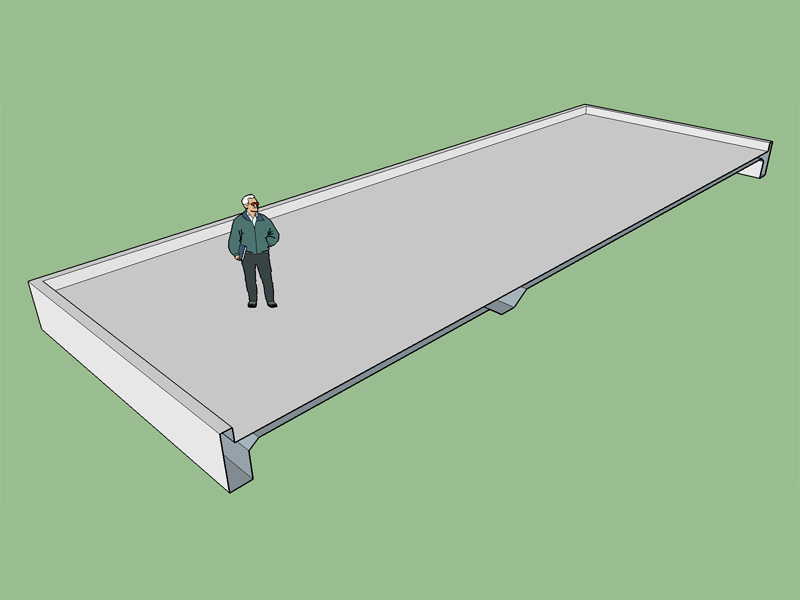 The thing that would make this plugin particularly useful is if the user could define a polygon outline for the foundation, that will be next, then onto stemwall foundations. 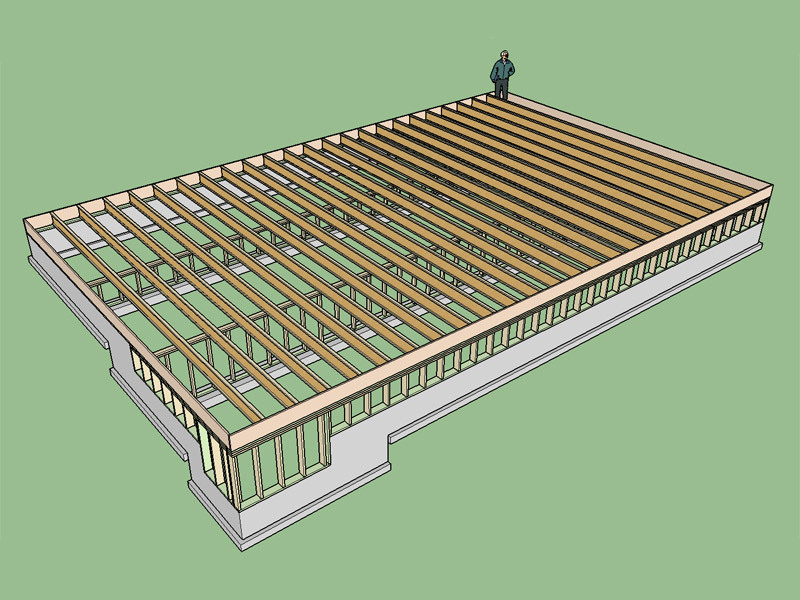 Start: Measured from first selection point that defines foundation outline. End: Measured from first selection point that defines foundation outline, must be greater than Start length. The problem with the basic UI is that it only allows for one interior footing. If I webdialog this input menu I can show the layout of the foundation in plan view and allow for an unlimited number of interior footings as well as have footings running in both the X and Y direction. The possibilities are really endless. The same methodology would apply for an arbitrary polygon shaped foundation. The ability to go back in and easily edit a foundation without having to recreate it will be crucial to the success of this plugin. - Enabled partial width interior footings for slab on grade foundation. - Addressed minor bugs with UI geometry menu: Interior footing depth can now be specified. Interior footings quickly complicate things but a well designed html UI should clarify things greatly and make it much more intuitive. That will be the next objective. - Added stemwall foundation type (rectangular outline only). 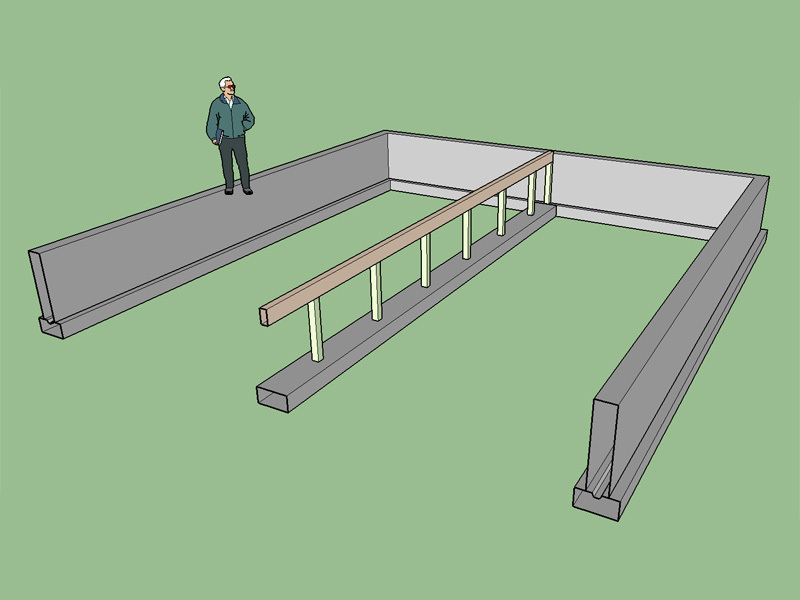 - Enabled post and pier interior floor beam(s) with a strip footing. 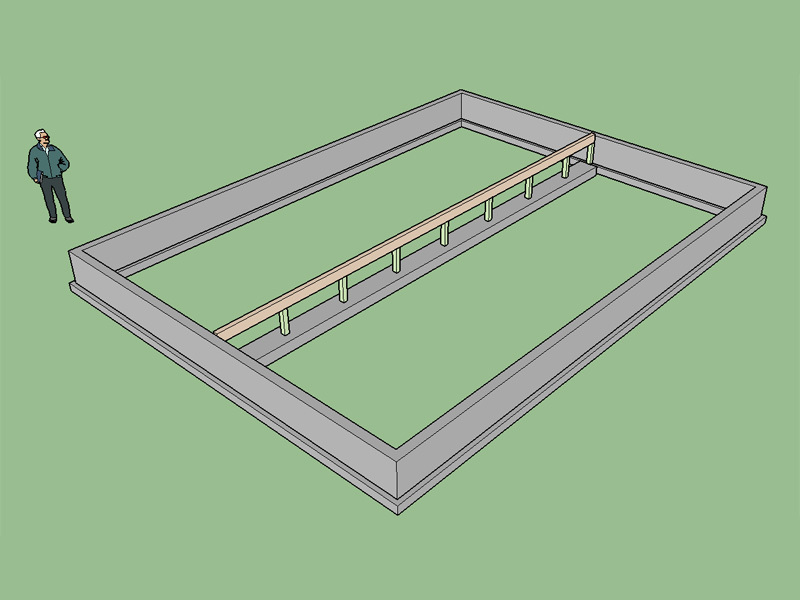 - Added brick ledge option to stemwall foundation. I'm trying to determine which is the preferred method of blocking out a stemwall foundation for garage doors where a slab will be poured in the garage. I've seen it done both ways. Option 1 does not typically block all of the stemwall out and seems to be more common in locations where the frostline is deeper (24" or deeper). 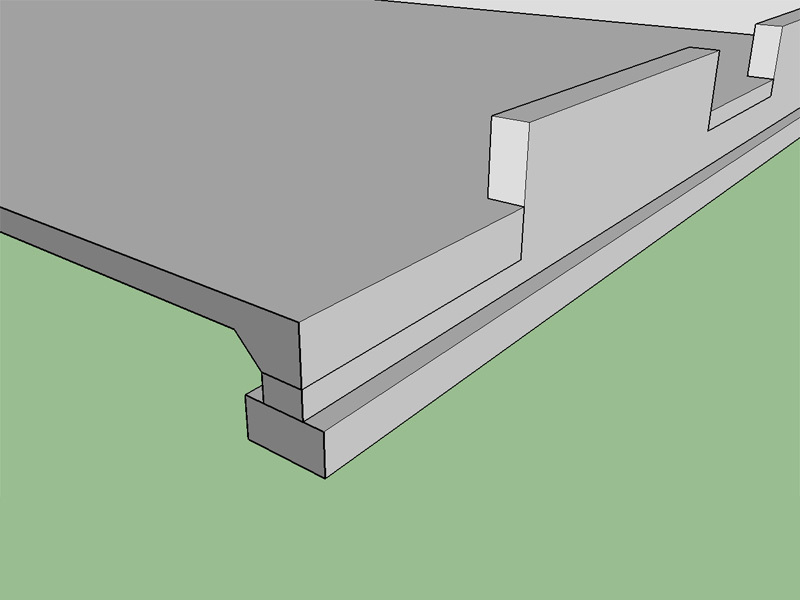 Option 2 completely blocks out the stemwall at the garage door and then a thicken edge is poured where the slab meets the footing at the garage door. From a structural point of view which is the better method and also from a construction point of view what are the pros and cons? 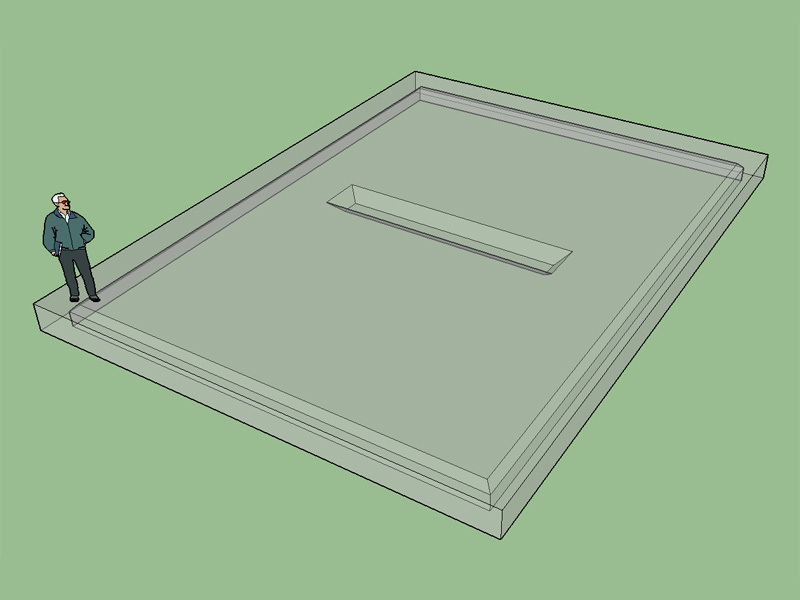 I should point out I've also seen a sort of a combination of the two options where the blockout does not extend to the footing but a thickened edge is employed at the slab/door interface and the thickened edge is typically 2x the slab thickness, or called out as a minimum dimension of 8". The blockout methods seem to be all over the board, I've even talked with some of my engineering friends and the response is mixed there as well. I guess I just need to provide the option for any of these three configurations within the plugin. Sometimes I feel that I get bogged down in the details but I hope some of this level of detail is appreciated. The area of the floor used for parking of automobiles or other vehicles shall be sloped to facilitate the movement of liquids to a drain or toward the main vehicle entry doorway. Typically the garage slope is 1/8" per foot or 1:96, how critical is this to you the user of the plugin? Flat would be easier to program but then your blocked out entries on the side of a garage would be only theoretical. What to do with the slope at the garage door? I've flattened it out but that leaves a line in the slab. At the side door entrance the right side of the slab is about 3/8" higher than the left side. Entrances that are parallel to the slope will have this property (problem?). At the rear of the garage the slab is 6" below the top of the foundation and at the garage door it is 9" below the top. Perusing through different plan sets I've collected over the years this seems pretty typical for the slope (1/8" in 12"). I think I should probably make the slope an option so those that want to model it can. Rather than make the slope a percent grade or degrees I think it would be easiest to let the users specify a total rise or drop for the entire slab. 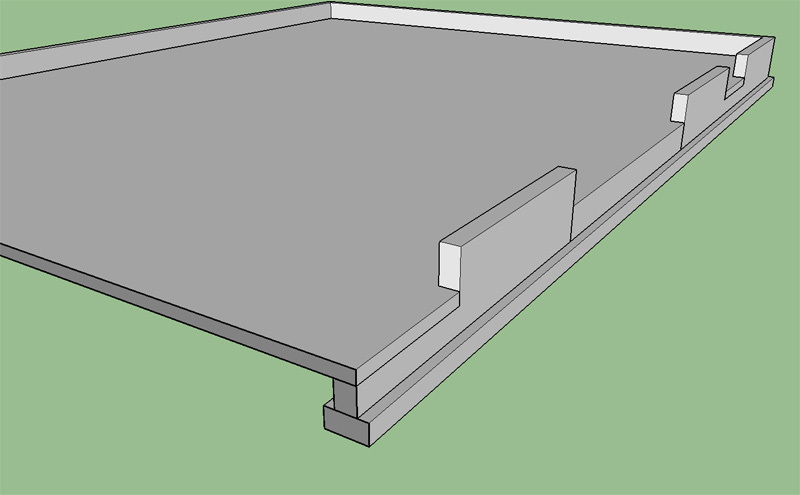 - Enabled interior bearing wall(s) with strip footing. I still need to enable the ability to add framed openings into the interior stud walls. 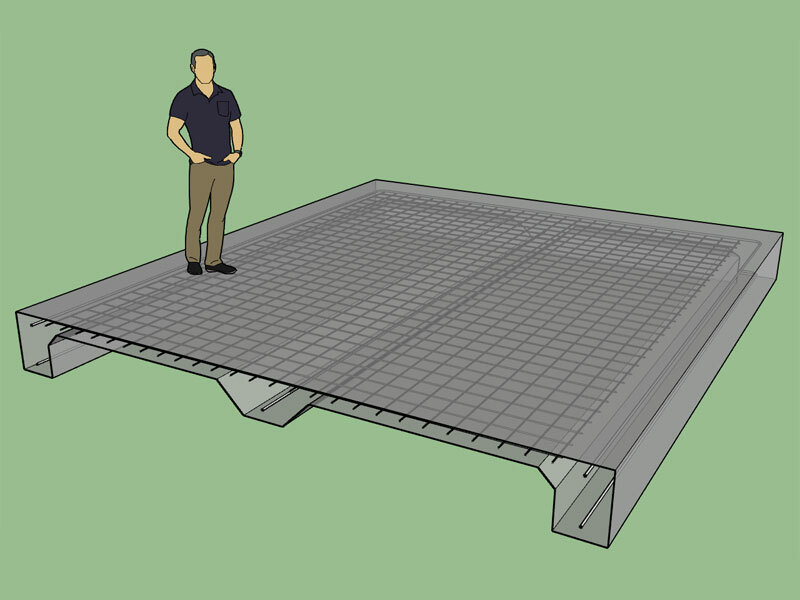 Interior stud/bearing walls can be created with single or double top plates and can be full span or partial spanning as shown in the image above. 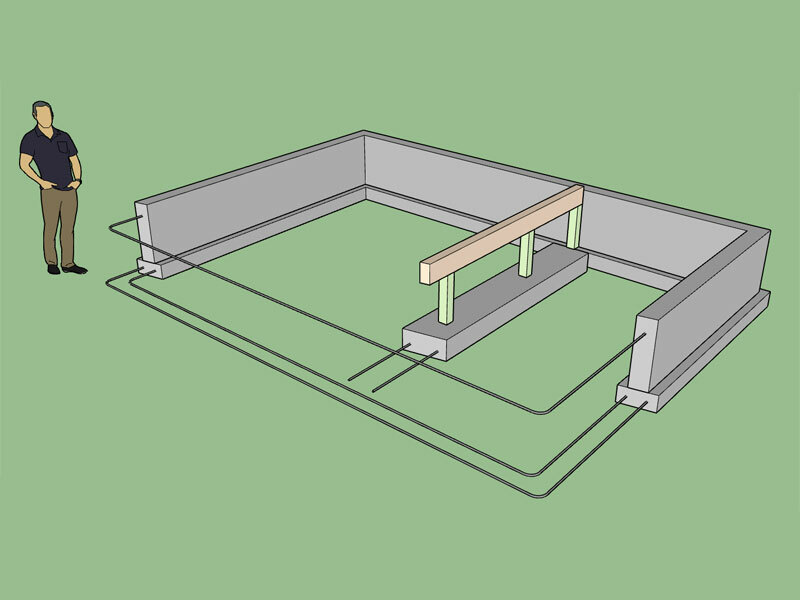 Also note that the studs are aligned from the right side of the stemwall foundation edge so that they line up directly under the floor joists. My new job has kept me away for the last few weeks so that getting anything done on the plugins has been a real challenge. Even so I've been giving some thought to stepped footings/foundations and would like some input from the designers and architects out there on what is common practice and what they would like to see available for this sort of feature within the plugin. 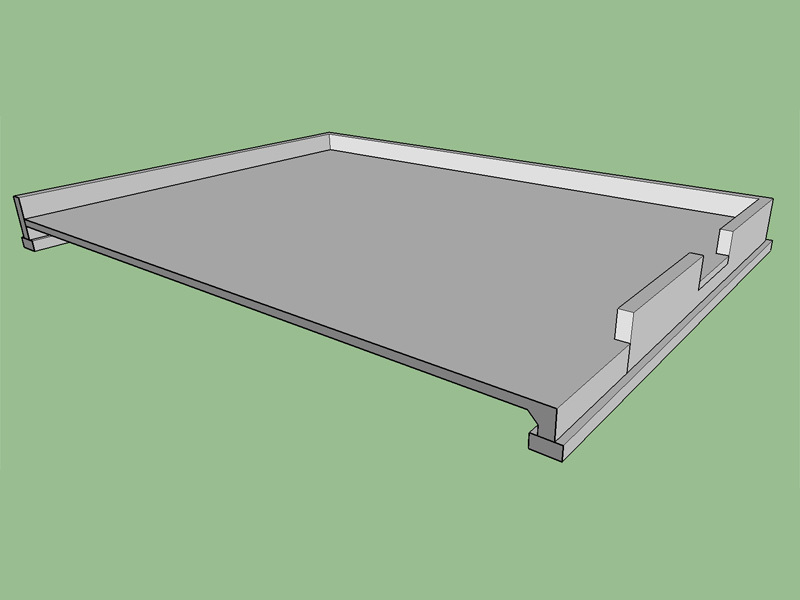 Note that I messed up on this model the exterior cripple/pony walls should have only had one top plate so that the combined top plate from the shallow sections and the single top plate would have created the typical double top plate. - Enabled rebar and mesh reinforcement for slab on grade foundations. - Enabled reinforcement for stemwall foundations.